If you have same thoughts as above, why not apply for “Foodion Ambassador”? It refers to the users who agree on our concept of “Make food more creative” and want to grow and prosper in cooking with Foodion by participating in Foodion related activities. 1.Your account will be certified as ambassador with official mark. 2.What is official mark? : A check mark next to your account name indicates that the account is genuine. 3.If you post wonderful photos to Foodion participating for the campaigns we organize, Foodion will actively spread! 4.We will share your posts on Foodion’s Facebook page (currently 600,000 Like), Instagram page (about 15,000 Followers)! 5.Early access to events that have limitation on particpants’ number. 6.We present you stamps of “Foodion Ambassador” for sticking at your store and cards containing QR code for downloading Foodion App. 7.Your opinions will be heard on other campaigns we organize. Carry the idea for brightening up the future in the cooking industry! We will review your foodion profile, your existing posts and contact you if you’re chosen. Please kindly join Foodion for mutual growth! Please set to receive mail from [support@foodion.com]. If you have not removed the email address from junk box, you might not be able to receive our future notices. We will contact Foodion Ambassadors from time to time irregularly for different projects. Operated by Cookbiz co., Ltd.
“Foodion” is a SNS that is used by professional chefs, servicemen, people aiming at cooks, people who like to eat, people who stick to food. 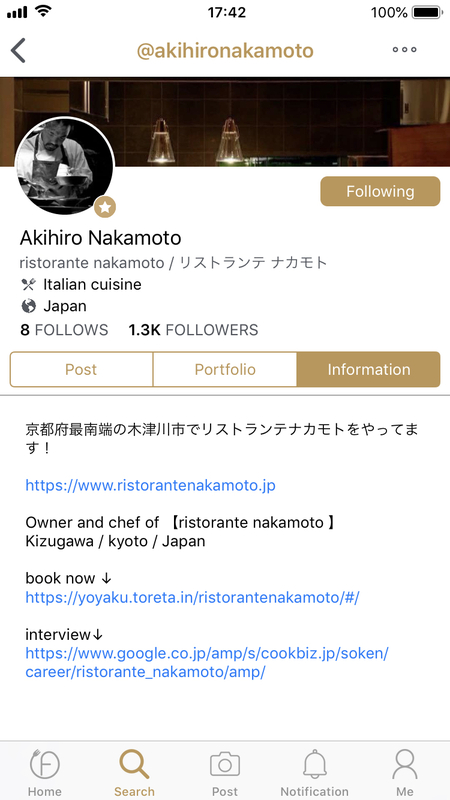 With this application, you can see the saving of cooking photos you made, posting and sharing what you have discovered in the eating walk, and chef’s cooking postings around the world. cookbiz: Career and Hospitality Recruiting Service. cook+biz arbeit: Part Time Hospitality Jobs Recruiting Service. foogent: A high profile recruiting service. cook+biz soken: A food curation service.